Charity phishing. This is the time of year when many folks feel charitable, and scammers tap into this with fake emails that appear to be from real charities but actually link to fake websites that take your money and run. Holiday e-cards. These scammers say someone has sent you a holiday e-card but you have to click on an attachment to see the card. When you click on the attachment, the link automatically puts malware on your computer. Email banking. You get an email that looks like it is from your bank, asking you to provide financial information such as your account number, password, etc. The email might warn that your account will be closed if you don’t comply. But if you provide that information, the scammers can use it to raid your account. Fake invoice. 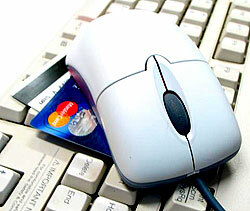 These scammers take advantage of the fact that many people shop online during the holidays. In this scam, you get an email that looks like it is from a shipper such as FedEx or UPS or from the U.S. Customs Service. The email contains a fake invoice or delivery notification, and asks you to provide credit card information or open a Customs form. Then the scammers steal your credit card information or use the Customs form to infect your computer with malware. Friend request. You get a message that seems to be from a popular social networking site saying you have a new friend request and, filled with the spirit of the season, you click on the link -– which then infects your computer with malware including software that can record your keystrokes and steal your passwords. Seasonal software. You might be tempted to download a free Santa screensaver or other holiday software. But beware: You could actually be downloading malware or spyware.